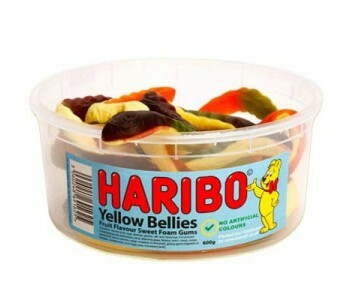 Haribo Giant Yelow Bellies are much bigger than the normal Yellow Belly Snakes - more than twice as big! These scary snakes are more than a mouthfull really! 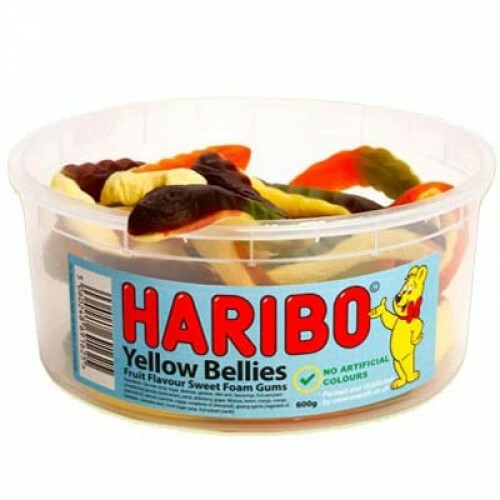 - and because they're made by Haribo, they're free from artificial colours and flavours too.